Julie Holt Lucia (Ms. Julie) is the owner and director of Studio Dance Centre as well as a dance instructor. Her dance education took place across the United States, where she attended programs at North Carolina School of the Arts (now UNCSA), the Eglevsky Ballet, Idyllwild Arts Academy, Mid-Pacific Institute, Douglas Anderson School of the Arts, and Florida State University. She earned a BA in Philosophy from the University of North Texas. Ms. Julie opened Studio Dance Centre in 2006 and has continued her professional education by attending teaching and business seminars whenever possible, including the DanceLife Teacher Conference, Dance Teacher Summit, Studio Owner University, and EntreLeadership 1-Day. She is also a proud member of More Than Just Great Dancing® and the National Dance Education Organization. In addition to her work at SDC, Ms. Julie is the founder of Moonlight Writing, a boutique writing business serving other studio owners. Ms. Julie is also on the Studio Owner Advisory Board for Curtain Call Costumes, and she is a volunteer mentor for Big Brothers Big Sisters of America. Kayla Davey (Ms. Kayla) is SDC’s assistant director, as well as a dance instructor and performing company director. 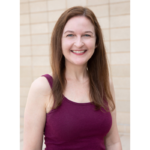 She grew up dancing in the DFW area, and in the summers attended intensives with Texas Ballet Theater, Pittsburgh Ballet Theater, and the Joffrey Midwest Workshop. 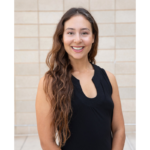 Ms. Kayla attended the University of Oklahoma where she graduated with a BFA in Ballet Performance and a Minor in Nonprofit Organizational Studies. During her four years at OU, she performed with the Oklahoma Festival Ballet in roles such as the Sugar Plum Fairy in The Nutcracker, Spring Fairy in Cinderella, and the Bluebird Pas de Deux in Sleeping Beauty. Ms. Kayla was also the recipient of the Miguel Terekhov Ballet Choreography Award for her choreography in OU’s Young Choreographer’s Showcase. After graduation, she went on to dance professionally with Ballet San Antonio and Dallas Neo-Classical Ballet. Ms. Kayla is also a certified Pure Barre instructor and teaches at the Frisco location. 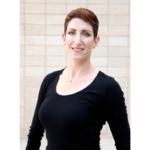 Amanda Deitz (Ms. Amanda) is SDC’s accounts manager as well as a dance instructor. She grew up dancing at Toby’s School of Dance in Richardson and became a member of Dallas Black Dance Theatre II in high school. Ms. Amanda later earned her BFA in Contemporary Dance and Performance from the University of North Carolina School of the Arts. 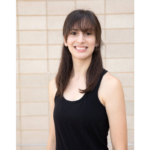 In college, she was the recipient of the Jerry Bywaters Cochran Scholarship from the Dance Council of North Texas and spent time in Paris studying choreography under Kazuko Hirabayashi. Ms. Amanda also had the privilege of attending the American Dance Festival and the Bates Dance Festival. After college, she spent four seasons dancing with Donna Sternberg and Dancers, a professional modern dance company based in Los Angeles. Ms. Amanda is also a licensed massage therapist specializing in sports therapy and injury prevention. Sarah Cat-Hendricks (Ms. Sarah) is a dance instructor and front desk assistant at SDC. She has been dancing since she was a toddler, and grew up dancing in Plano. She earned a BFA in Dance Performance and a BA in Advertising Management from Southern Methodist University. In college, Ms. Sarah had the privilege of dancing Martha Graham’s Lamentation and Primitive Mysteries for notational films and scores held at the Library of Congress. After graduation, she spent time dancing professionally in Berlin, the Netherlands, and New York. 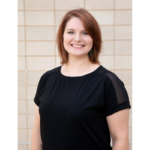 Ms. Sarah began teaching dance in high school and continued to teach throughout college and her professional career, including positions at Steps on Broadway in New York, Barefoot Dance Studio in Rapid City, South Dakota, and the Junior Players with Dallas ISD. 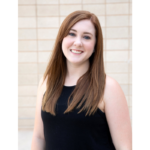 In addition to working at SDC, Ms. Sarah is also an instructor at Plano Dance Theatre and Ovation Academy of Performing Arts, and she performs professionally with 6 o’Clock Dance Theatre in Dallas. Graysen Smetzer (Ms. Graysen) is a dance instructor and customer care assistant at SDC. She began dancing at the age of three, eventually training in as many styles as she could take, including ballet, tap, jazz, modern, contemporary, and hip hop. Growing up, Ms. Graysen had the privilege of dancing with the San Diego Ballet and the Ballet Society of Colorado, as well as in the Macy’s Thanksgiving Day Parade. She began her teaching career at Studio of Dance and Cheer in New Braunfels and earned her BA in Dance Studies at Texas Woman’s University. At TWU, she performed in numerous dance productions, worked with guest artists-in-residence, and choreographed for other students. Carla Pinto (Ms. Carla) is a dance instructor and project assistant at SDC. She grew up dancing in the Dallas area, studied dance at Collin College, and graduated with a BFA in Dance from Sam Houston State University. At SHSU, she was the proud recipient of the Kelly Barber Endowed Dance Performance Scholarship. In addition to dance, Ms. Carla has a passion for yoga and is a 200-hour Registered Yoga Teacher. During her time living in Miami, Florida, she taught yoga at Twisted Fitness, NOBE Yoga, and LOVE! Yoga Studio. Ms. Carla currently teaches at The Sacred Space in Frisco, and is pursuing a career as a Certified Life Coach. Richard Falls (Mr. Richard) is a choreographer and guest teacher at SDC. He started dancing at Illinois State University, where he earned a BA in Music Education and a minor in Dance Education. During college, Mr. Richard studied with the Illinois State Dance Theatre and Visceral Dance Center, and was privileged to attend a summer intensive at the Martha Graham School. He also enjoyed performing opportunities with Joel Hall Dancers, NoMi LaMad Dance Company, and Inaside Chicago Dance. In addition to teaching ballet and modern, Mr. Richard is well-versed in social dance instruction (ballroom, Latin, and swing dancing) and drumline instruction. When Mr. Richard is not guest teaching at SDC, he is a full-time middle school band director in Burleson ISD.